Platte Valley Septic is an established septic company that has been serving Nebraska and surrounding areas for 13 years. At Platte Valley Septic we strive to provide professional, dependable, quality service at a fair and reasonable price. Our goal is to achieve long term working relationships with our customers, and we promise we will go the extra mile for you! At Platte Valley Septic we will arrive at your home within the agreed time frame in a fully stocked, clean truck ready to work. Our goal is to exceed your expectations in a timely manner, keeping your best interest in mind. We will diagnose your problems and give you a price and options before there is any work done, which means you will know the exact price before we start and there will never be any hidden charges. 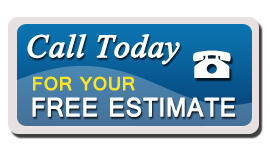 Choosing the right septic contractor is extremely important! You want the job done right when it comes to any services you may need done on your new septic installation and septic pumping, especially in the case of an emergency. Your satisfaction is guaranteed! If you are not 100% satisfied with our service, we will do whatever it takes until you are happy.